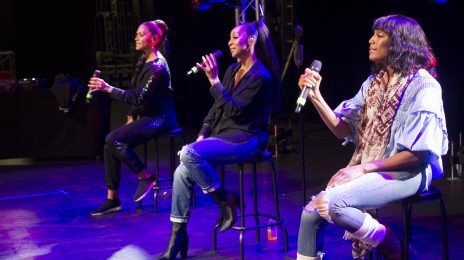 For almost 30 years, En Vogue have been at the forefront of R&B excellence. The dual definition of divadom and endurance, the vocal ensemble are now a trio comprised of originals Terry Ellis and Cindy Herron-Braggs as well powerhouse Rhona Bennett – who has been a member for over a decade. 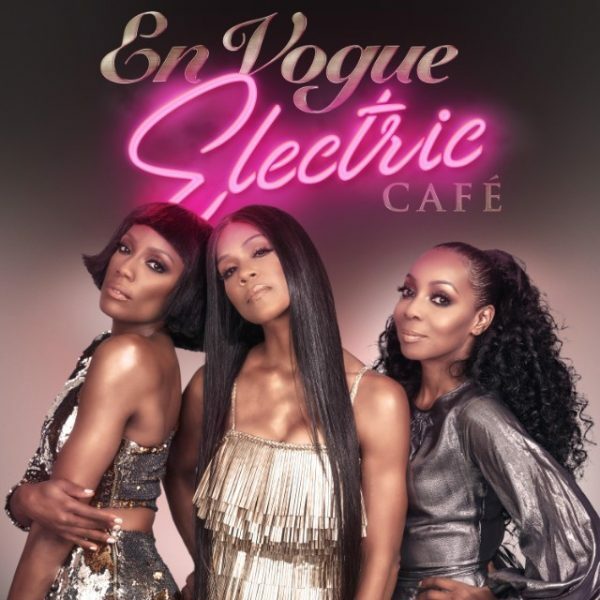 Today marks the global release of En Vogue’s long-awaited seventh album ‘Electric Café’ – which features contributions from the likes of Ne-Yo and Snoop Dogg. 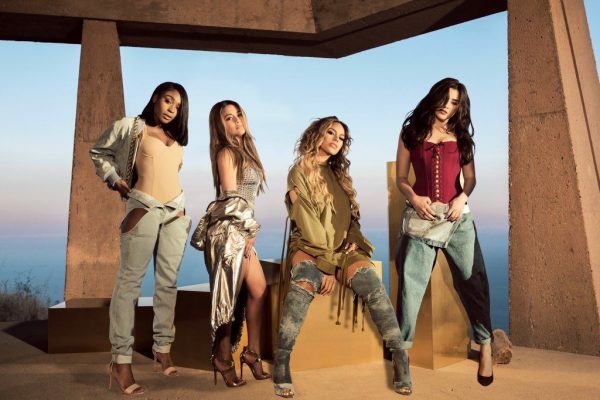 As the ladies geared up to set sail on their supporting international tour, That Grape Juice caught up with member Terry to discuss the trek, the new music, biopics, reality shows, Fifth Harmony‘s split, and much more. That Grape Juice (Sam): We love your new single ‘Rocket.’ How did you guys link up with its writer Ne-Yo? That Grape Juice: That’s awesome. Terry: Yep! So, that’s how that happened. That Grape Juice: Why did you guys feel it would be the best “first single” from the album? Terry: Well, it was so different yet it was still giving you those En Vogue signature harmonies. And simply because it was a great song. A really a great song and you know, we’ve never really released a ballad before as a first single. So, we just thought it would be different, it’s a great song, people are getting the signature En Vogue harmonies and we hope that they’ll love it. That Grape Juice: Let’s talk ‘Electric Café’ – the album. What can fans expect from the LP? Terry: This time – it’s a slightly different flavour, even though our original producer spearheaded the record. You’re getting an eclectic blend of expanded music, so to speak. Initially, we thought we were going to do an electronic dance music record, EDM. But as we started recording and going through the recording process, the music just started to creatively take a life of its own. So, you’re going to get I think an eclectic blend of music a little bit of Bossa (Nova) you got from ‘Déjà Vu’, there’s a little bit of funk on there, I think we tap into a few different genres of music. So, there’s, although we didn’t go EDM, there’s still a little bit of that there. That Grape Juice: That sounds cool. And then in terms of the next single, has there any thought that has been put into that yet? Terry: We’re trying to decide now! We’re trying our best to figure that one out. We’re like “Oh my God, we love this one, what about this one?” “No, you got to do this one.” “Well, how can we pass this one up?” “No, we got to do this one.” So, we’re going through that right now. But, we’ve got some goodies on there. There is a song that we’re thinking about called ‘Reach 4 Me,’ which is- the groove, it’s insatiable. It’s just undeniable. So, we’re thinking, I don’t know, do we want to come with a dance track after ‘Rocket’? It seems fitting, but we don’t know. So, because we have another song called ‘Blue Skies’ that we love and people are really gravitating to it and so, we don’t know. That Grape Juice: So, there’s like a lot to choose from. It’s a good problem to have and it does make us really excited to hear the album holistically. You implied recently that, unlike some other girl groups like the Xscape’s and SWV’s, that you weren’t particularly open to the idea of a reality show. What about that route is unappealing for En Vogue? Terry: Well, let me say it this way. We’ve been approached many, many times, so it’s not that we’re not open to it, it’s just that we want to be open to the right situation, one that we feel is fitting for us. We would like- if we do a show, a reality show, we would like for our show to be uplifting, motivating, encouraging and inspiring. So, once that particular situation comes along or expectation comes along, then we’ll be open to it. We just want the right partnership you know, someone who’s going to allow us to dictate and create our own narrative. That Grape Juice: For sure. Terry: Because that’s how we’d like to be represented and that’s the message that we want to put out there for all women, but especially African American women because you know, we are black women. And it’s important for us to represent in a way that we are uplifting and inspiring other women. That Grape Juice: With the deals that were put to you before, was that a primary issue? Terry: Right. Yes, people were looking for drama and you know, mess and that’s just not who we are, that’s not what En Vogue is, that’s not what we stand for, it’s not what we represent. Nor what we’re about. That Grape Juice: Shifting gears a little bit, biopics are a super hot topic as well. Is that something En Vogue would ever consider? Because we know En Vogue has a very illustrious history – musically and with your narrative. Terry: Absolutely. We’re open to that. Again, in the right situation, because we’re been approached for biopics as well but, we just- the story has to be reflective of our music which has always been message oriented and representing women and African American women especially. The story has to be something that is positive, true, but positive and uplifting and inspiring. That Grape Juice: Cool. We’d love to see that, we really, really would. So, fingers crossed. 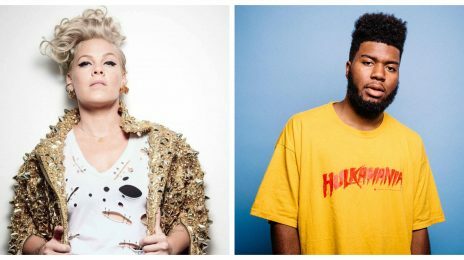 That Grape Juice: Who are some of your dream musical collaborations? Terry: First thing’s first, having a song written by Ne-Yo is just incredible and then Snoop Dogg also worked on this project. He threw some verses on one of our songs called ‘Have A Seat’, so that was really super freaking awesome. But shucks, let’s see. We would love to work with Anderson.Paak I would say. That Grape Juice: That would be very interesting. Terry: Wouldn’t that be cool? He’s an incredible songwriter, we would love to work with him. And an incredible artist as well. I mean the way his singing, his flow is just, it’s just giving you all of the nineties and all of the eighties, I mean he’s giving it all to you. That Grape Juice: Now that sounds like a really eclectic mix of acts. So putting that out into the air and hoping they come to fruition. As a girl group that has endured for so long, what advice would you give to girl groups or hopeful girl groups about lasting the distance in the music industry? Terry: I would say first and foremost, continue to hone your craft and then I would say it’s so important to learn the business of the music business because it’s all business. Thirdly, if you’re in a girl group I would say understand that although you’re in a group, that you are still individuals and learn how to respect your individuality and accept it and honor that because at some point in time you’re going to continue to grow together and you’re going to grow, everyone is going to have different goals and aspirations and it’s important to understand that from the beginning so that you can accept it, allow it and respect it. That Grape Juice: That’s some great, great advice! Rounding up now, we recently learned that the iconic red gowns from ‘Giving Him Something That He Can Feel’ were on loan to the Smithsonian. Congratulations on that, and how does it feel to be the only girl group featured so far? Terry: It’s incredibly humbling and just- we are so grateful, words almost don’t even express how I really feel because it’s so surreal to us. It makes us feel like we did something right and it’s humbling in that people feel like we were a credit to our race, our culture and which is all the more reason why it’s so important for us to be of substance you know, because someone is looking, someone is watching. Little girls especially little black girls are looking at us and whether we like it or not, we are someone’s role model. It’s important that we continue to be respectable and because we are touching someone through our music. So, we’re very grateful for that. That Grape Juice: Absolutely and with thirty years in the music business as En Vogue, what keeps you guys going? Terry: I think it’s simply our love for what we do. Our passion for it, our respect for it and the opportunity to continue to do it. I think our fans understand that we are grateful that they have continued to support us for 27 years. I think they really get that and I think that’s why they encourage us to continue to do it and just realize that we work really hard and it’s our love for what we do and our love for being in the studio to create music that we hope that they will love. You know, I think it’s an even exchange of energy that’s keeping the drive going. That Grape Juice: What can folks expect from your upcoming tour? Terry: They can expect new music. We’re going to be doing a lot of our new music in the show. We have an amazing new opening for our show that we think they’re going to really enjoy. New costumes and surprises. So, we’re really excited about it and let’s see what else. Overall, lots of great energy and dancing. 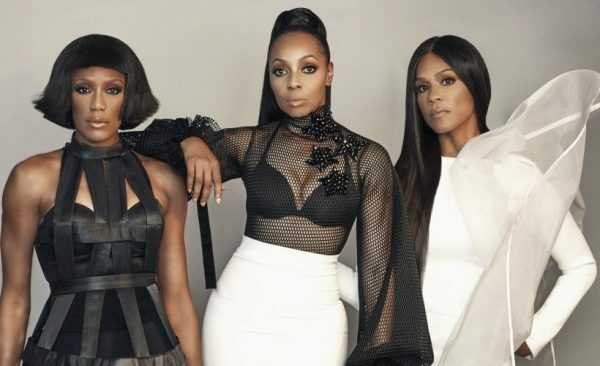 En Vogue’s tour commenced this week and tickets are available now at Live Nation. Tell that to your welfare cronies, you ghetto hoodrat. MASTERPIECE THEATRE is amazing too qnd actually my favoriite! Born to Sing and Funk Divas are also GREAT! Give Electric Cafe’a few listens. I ADORE En Vogur and even I wasn’t sure at first. By the third time through, I love it! You’re as dumb as you are ugly. First you say (or at least it’s what I think you’re trying to say; it was tough trying to decipher what the hell you wrote, you illiterate f***) that you wasted your money (which you could only do if you SPENT money buying the album), only to go on to say that you’re glad you didn’t buy the album. You wouldn’t know good music if you heard it. Stop calling them En Vogue!!! Unless it is the ORIGINAL line up, Cindy, Maxine, Terry and Dawn, this is not En Vogue! They could be living their best lives, touring, TV, featured with new hot relevant artist, but they can’t understand that they are better together. Bring back the original En Vogue, this is not En Vogue! Please kill yourself. Idiots like yourself have no business commenting let alone existing. You’re clearly not a fan, so shut the hell up because your opinion matters not, and I’ll be damned if I allow you to post this s*** and think you’ll get away with it. Unless you’ve been riding and dying with En Vogue since day 1 up ’til now, don’t you f****** dare think you can comment on a damn thing. If you want the originals to reunite, then go run to maxine and dawn – the ones who chose to leave the group (so that they could do……absolutely nothing!) and let them know how you’re an idiot and can’t accept EN VOGUE as it is today and how you desperately need the originals to reunite. You pathetic waste of space. Ewwwww, BOP! Hahaha. En Vogue 4 LIFE!!! YEs , its a new day and age . Stop hating,those comments are like saying that since two of the the original members are gone that they need to not record anymore. I even like “Sunflower” from 2004. Music is universal and healing and i say Love it or leave it . Happy to say Maxine Jones long awaited solo new single will drop early 2019. Stay tuned! there’s no feat Toni Braxton? My Fave Group of all time! I feel bad that I forgot about album dropping 4-6. Coping it e-me-giately!! Been a fan since day one! So glad they are still doing their THANG! Loving Electric Cafe’! This album is really great. 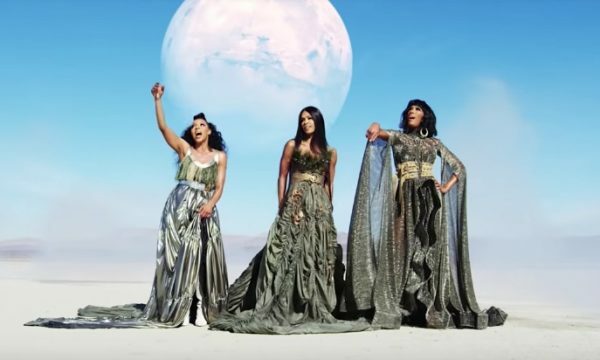 En Vogue celebrate 27 years of success with electrifying performances of 'Don't Let Go' and 'Rocket' live on That Grape Juice's The Splash. 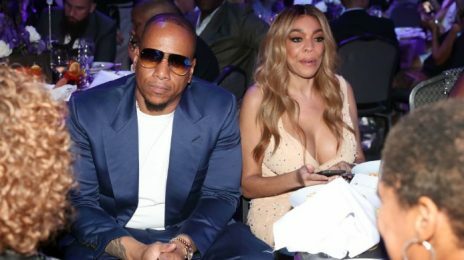 The 2018 Billboard Music Awards line-up is dipped in all sorts of diversity. Lending credence to this is the double helping of iconic divadom that has been announced as the show’s newest additions.